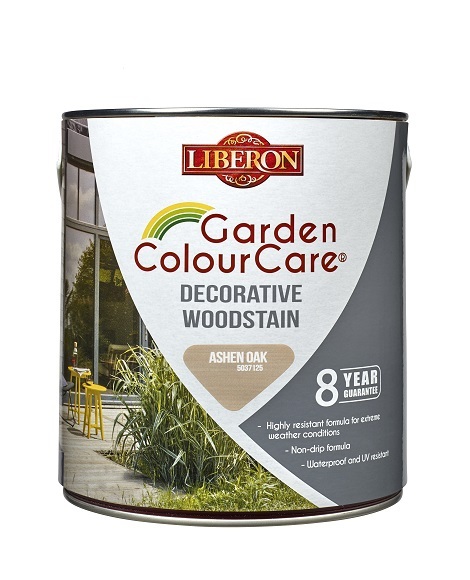 Garden ColourCare Decorative Woodstain is ideal for all exterior and interior woodwork: shutters, gates, fences, windows or beams. For most types of European and exotic woods, new or old: Oak, Softwood, Larch, Douglas, and Red Cedar. Suitable on most old woodstains. Ensure the surface is clean, dry and non-greasy. Sand angles and edges to lightly round off. Bare woods: Sand to obtain a smooth surface and remove dust. Apply a suitable wood treatment product. Bare Hardwoods (Oak, Chestnut, Larch, Douglas, Red Cedar, Exotic): dilute the first coat with 15% water and apply a non-diluted second coat. (Avoid a generous application). On greasy wood, degrease the surface before application. Stained woods: Brush to remove any loose or flaking finishes. Use sandpaper to obtain a smooth surface and remove dust. 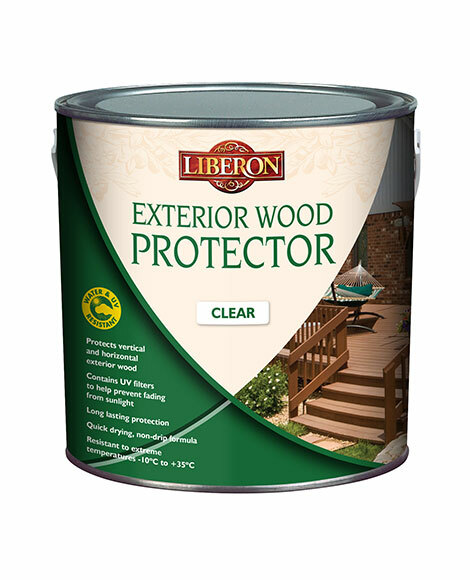 Blackened woods: apply Liberon Wood Bleacher or apply a suitable undercoat to affected area. Ideal application conditions: between 12° and 25°C, in dry weather. 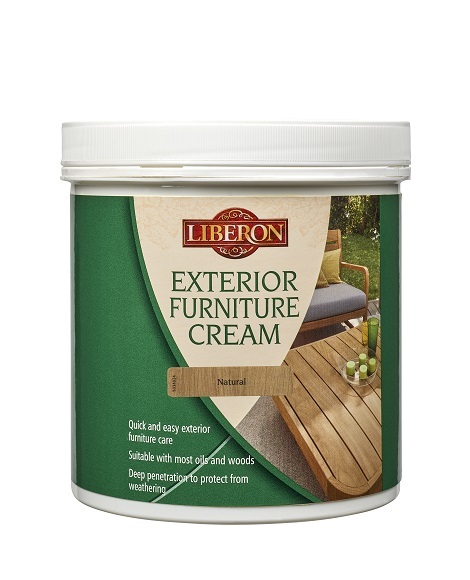 We wouldn’t recommend applying Decorative Woodstain in strong winds or when bad weather is forecast. Stir the product well before and during use using a wide stick. Apply in 2 coats. For a spray application, dilute the Woodstain with 10% water. Sand lightly between the 2 coats. Do not apply on heat treated woods, thermo treated woods or acidic woods. For bright colours on new or exposed woods, it may be necessary to apply a 3rd coat.